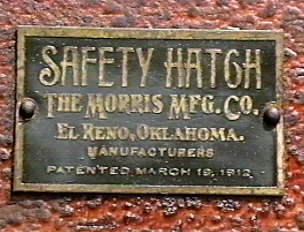 Safety Hatch Incubator made by "The Morris Manufacturing Co." El Reno, Oklahoma. Patented march 18, 1912. 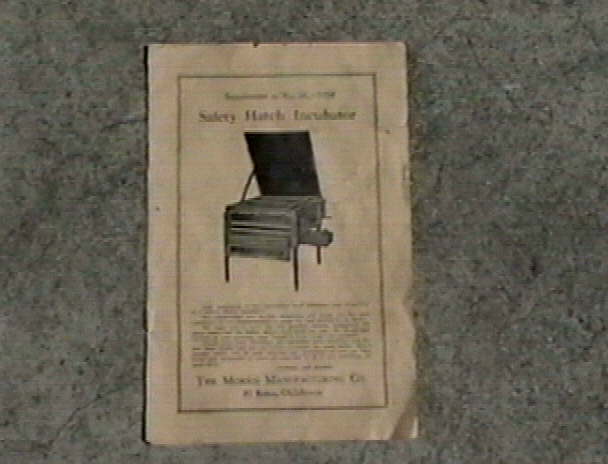 This incubator was sold to Mr Luther Roomsburg of Afton, Ok. in 1934. The No. 2 incubator retailed for $30.00. After brushing off a little dust the price is still seen written in pencil on the top of the incubator. 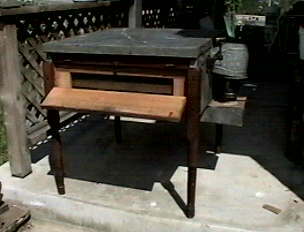 It was found in a barn in excellant condition and made it's way to "Inspiration Point Antique Mall" Eureka Springs Ar. Was shipped to me in San Diego, Ca the summer of 2001. 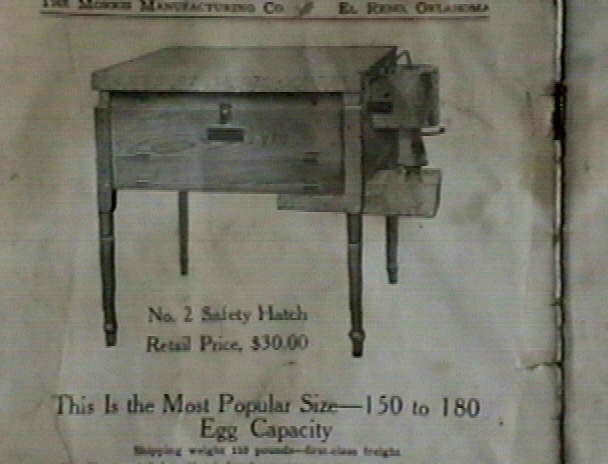 This compact 30" X 30" X 12" (not including legs) is a 150 to 180 egg capacity machine was the most popular model sold. 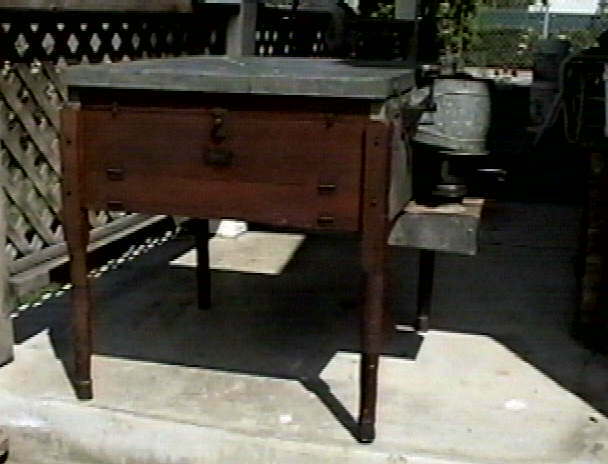 Weights 110 lbs, has 2 trays, a viewing window, boiler heated via kerosine lamp or may be converted to natural gas. Heat regulated by the same copper wafer used in todays GQF stand up cabinet models. 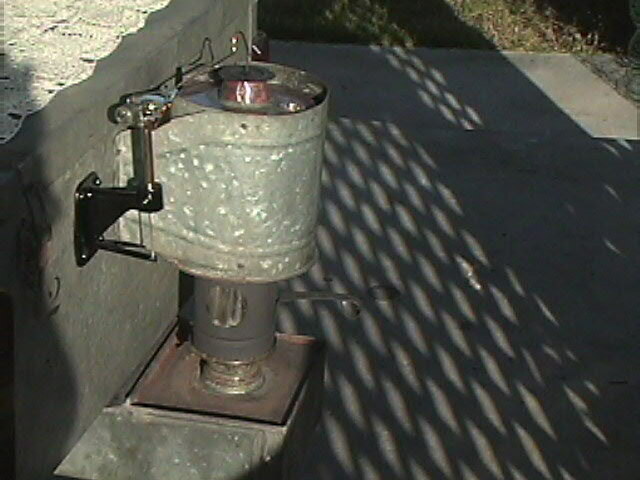 The name "safety hatch" is due to a water well feature on the lamp fuel bowl just under the (Edward Miller) burner. The water well keeps the flame from getting too hot, prevents possibility of fire and makes the flame more easily regulated. 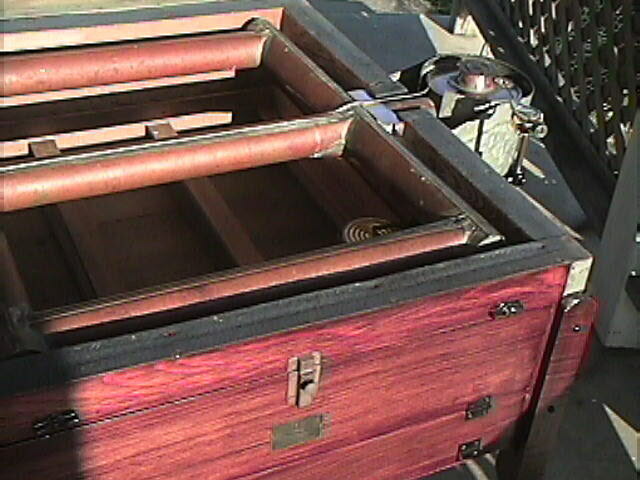 Seems the copper boiler tube inside had sprung a leak at a seam and the incubator was put aside, no longer fit for use. Bits of light brown egg shell was found on the hatching tray from it's last hatch. I lead soldered the leaky seam and got me a new wafer. I believe she's now ready to cook, just waiting to try her out this spring/summer with some duck eggs.